Home | Testing Blog | Things are changing at NTS Rustburg! Things are changing at NTS Rustburg! Since last Fall, our Heavyweight Shock Test Facility (formerly known as DTI) has been undergoing a series of expansion efforts to add new capabilities and enhance our existing test capacity and resources. 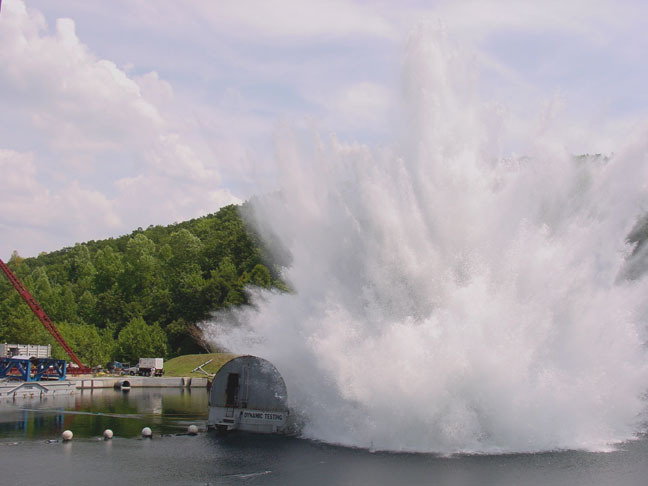 Our goal is to provide a “one stop shop” for Navy Environmental Qualification Testing. To complement our current MIL-S-901D shock and MIL-STD-167 vibration capabilities, we have constructed new buildings to house state of the art machinery and electronic equipment to support a variety of environmental tests. Our new capabilities will be operational before May 2012. We will be hosting an Open House / Customer Appreciation Day on Thursday, May 3rd 2012 at the new EMI Test Facility. Mark your calendar! This all day event will include tours of the facility and new test capabilities, training seminars on shock, vibration and EMI testing and a pig roast catered by The Pig’s Ear. RSVP here.